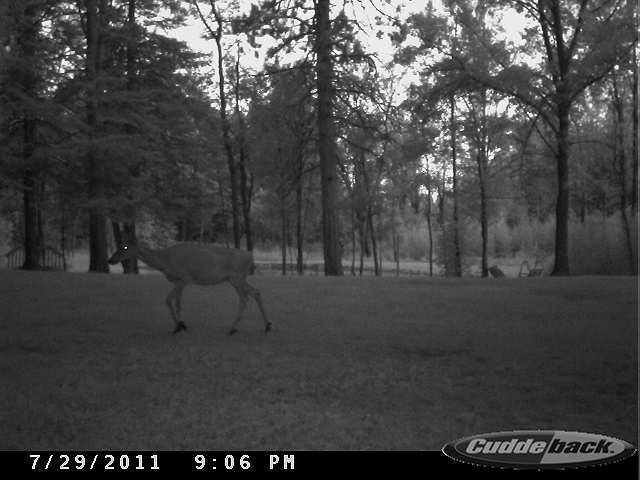 The Cuddeback was still located in front of the cabin. And imagine our disappointment, when we realized we probably will not see any bears right now. I don’t have many pictures to share with you this weekend.. That is unless you are a Goldie fan.. Anybody?? Hmm.. Anyways on to the photos! 1.) The ever popular Goldie. This girl must run that place. We seriously have a million pictures of her. 2.) Hey it Cousin Scott! He and his family own a cabin right down the road and they wanted to do some easy fishing so they headed to Boyd Pond to catch some perch and blue galls. That’s it.. Sorry I don’t have 3 pictures for you this week. We have since moved the camera down to the field near the salt lick. I expect some whoppers next week. What do you have on the cameras this week? 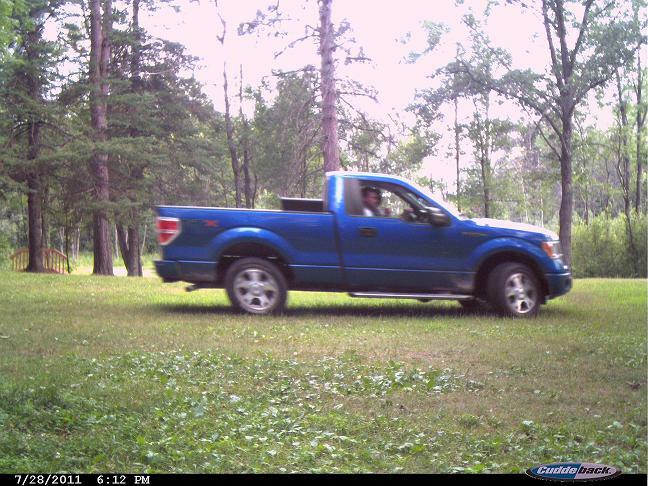 This entry was posted in Trail Camera, Uncategorized and tagged cabin, cuddeback, deer, deer pictures, field camera, hunting, trail camera. Bookmark the permalink.